Canadian Daily Deals: Walmart Boxing Week is Live! 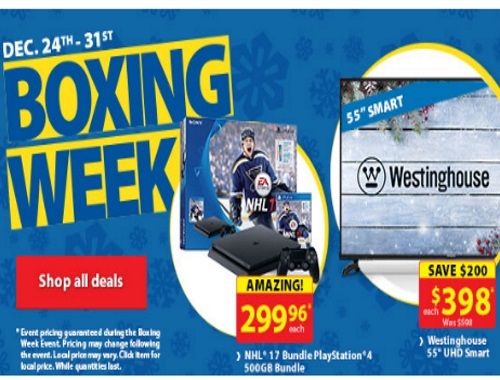 Walmart Boxing Week is Live! Walmart's Boxing Week is now live! Event pricing guaranteed during the Boxing Week Event. Pricing may change following the event. Local price may vary. Click item for local price. While quantities last. Home delivery is free on orders over $50. Walmart's Boxing Week deals are valid December 24-31, 2016.